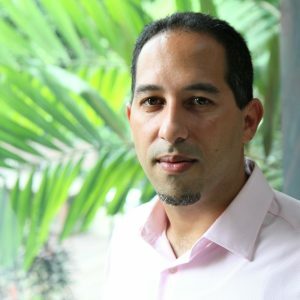 Gibran Rivera is an internationally renowned master facilitator who has devoted his life to the development of leaders and organizational transformation. 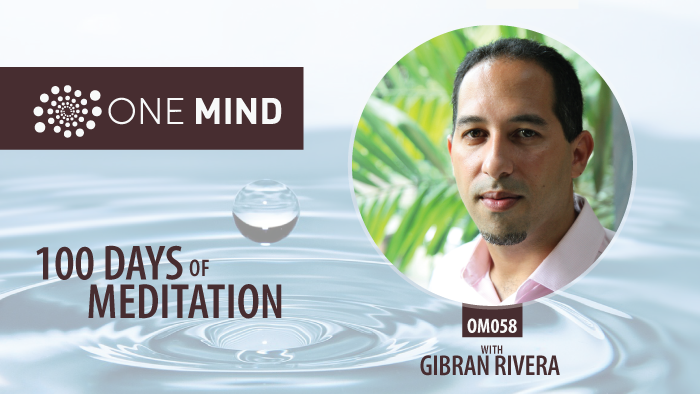 Recently, he completed an inspired run of 100 days of meditation. In truth, that’s not all that strange for Gibran. He’s walked a meditation-based spiritual path for more than a decade. Instead, what’s interesting is how this recent meditation immersion parallels his journey to give up alcohol and marijuana. Something Gibran struggled to moderate for a long time. But now, thanks to a personal breakthrough supported by medicinal plants, Gibran has given up these “addictions” and experienced a resurgence in his meditation practice…and in his life. 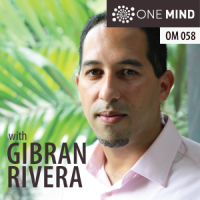 In this wide-ranging interview, Gibran and I explore spiritual practice and spiritual awakening in the context of his life as a “minority,” a social activist, politician, father, and facilitator. Raised in a devout Catholic family, Gibran’s story starts with his immigration to Western Massachusetts from Puerto Rico when he was 12 years old. It traverses intentional communities, spiritual awakenings, political ascent, a devastating fall from grace, and a relentless commitment to spiritual ideals and the pursuit of Self-knowledge. Among many highlights, Gibran shares the story of his encounter with a tantric spiritual master and his subsequent struggle to accept her as his teacher. He also provides in-depth insight into the potent role and potential of entheogens on the path of healing and awakening. An entheogen (“generating the divine within”) is a chemical substance used in a religious, shamanic, or spiritual context that often induces psychological or physiological changes. Entheogens have been used to supplement many diverse practices geared towards achieving transcendence, including meditation, yoga, prayer, psychedelic art, chanting, and multiple forms of music. They have also been historically employed in traditional medicine via psychedelic therapy. I’m moved that you took the time to listen to my story, and I’m flattered by being called a “fine man!” Thank you for your care. Hi Morgan, Gibran, thanks for sharing this great pod cast. Morgan, I believe I was one of your first customers, at About Meditation and used your 30 day meditation challenge back in Dec 14, 2016, which helped me start my meditation practice and have been doing so ever since. Gibran, I can relate to what your saying about your Guru, as I had an experience with a spiritual teacher (in the flesh) after about 6 months of meditation, initiate me with out me asking. He, my wife and myself were meditating for about 10 minutes, I heard in my head, he’s been here before, he touched my forehead and I was transported to another consciousness. As I opened my eyes, my head had so much pressure, i could barely see, my eyes dilated to the point where they were nothing but pupil, and when I was able to focus again and regain my composure Swami asked me, Why are you here? Keep up the good work Morgan, Gilbran, very inspiring! WOW! That is amazing George. Thank you for sharing your experience. I can’t wrap my head around the way some human beings are shaped into vessels of such liberating power.